Apache Reclamation and Electronics, INC.
Decora 4 Level Fan Control. 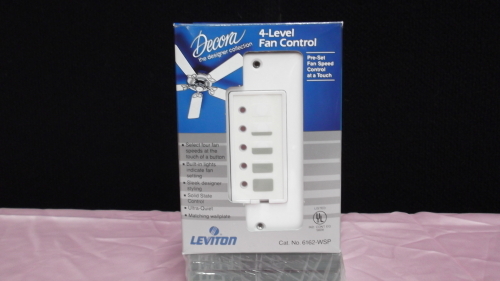 Decora 4 Level Fan Control. Leviton Brand. Cat no. 6162-WSP. Easy to install, replaces standard switch. installation instructions enclosed.